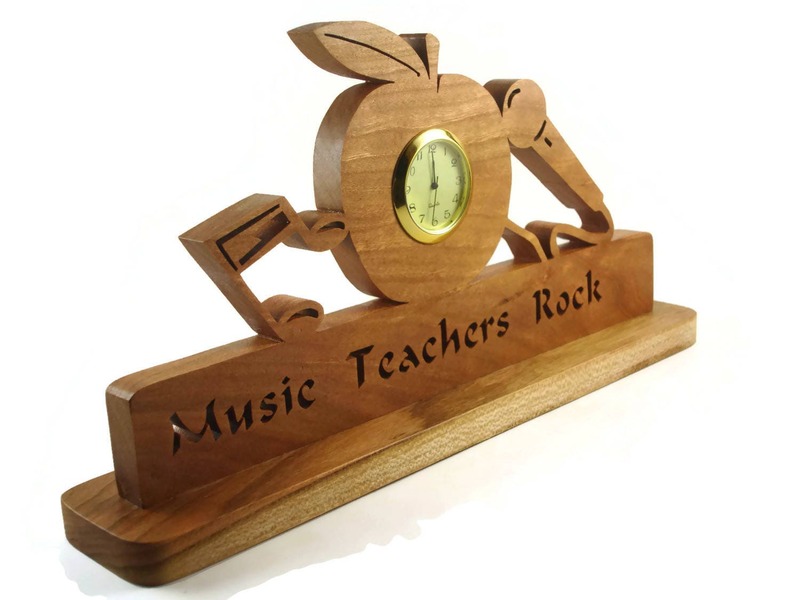 Are you or someone you know a music teacher? 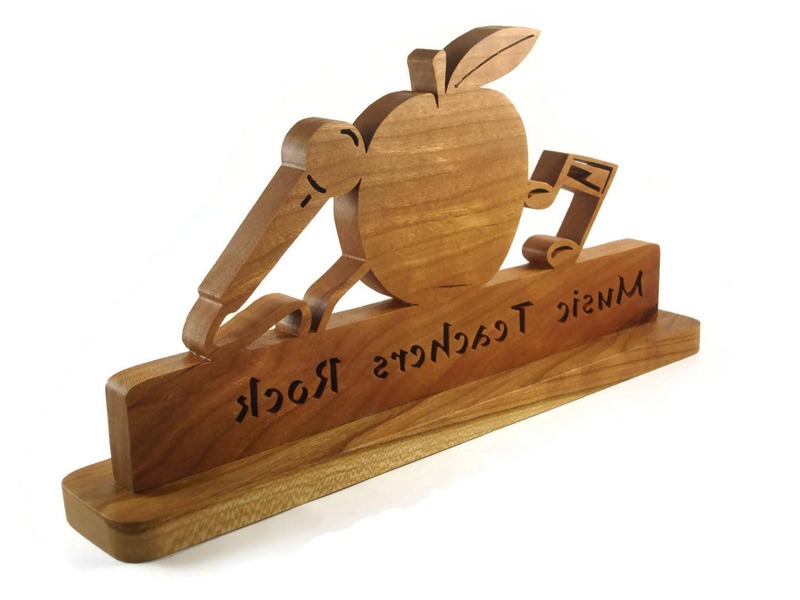 If so then this is the perfect gift to get for yourself or that special music teacher or friend. 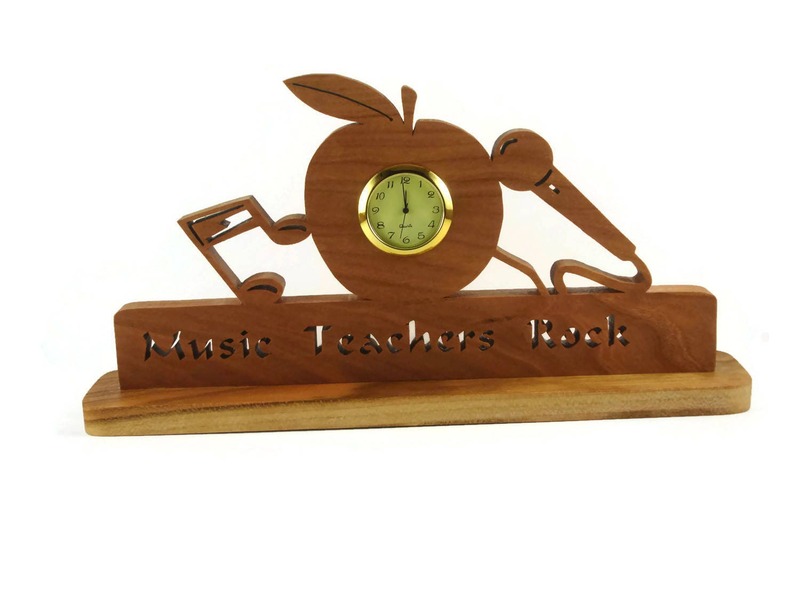 This music teacher clock was cut out by hand ( handmade ) using a scroll saw and features a apple in the center with a 1-7/16 inch quartz clock insert. On the right of the apple is a microphone and to the left of the apple is a music note. 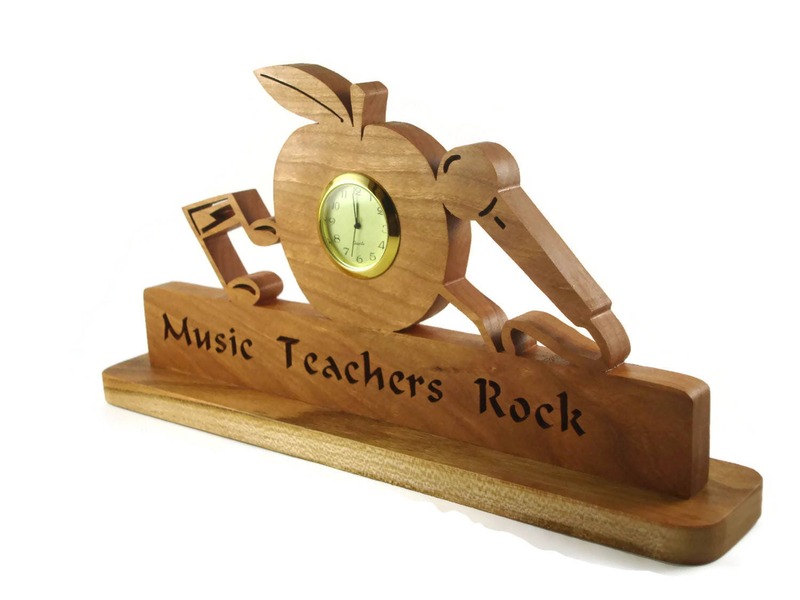 Near the bottom of the clock is a phrase " Music Teachers Rock ".. The clock is mounted to a 2 inch x 11 inch base for stability. 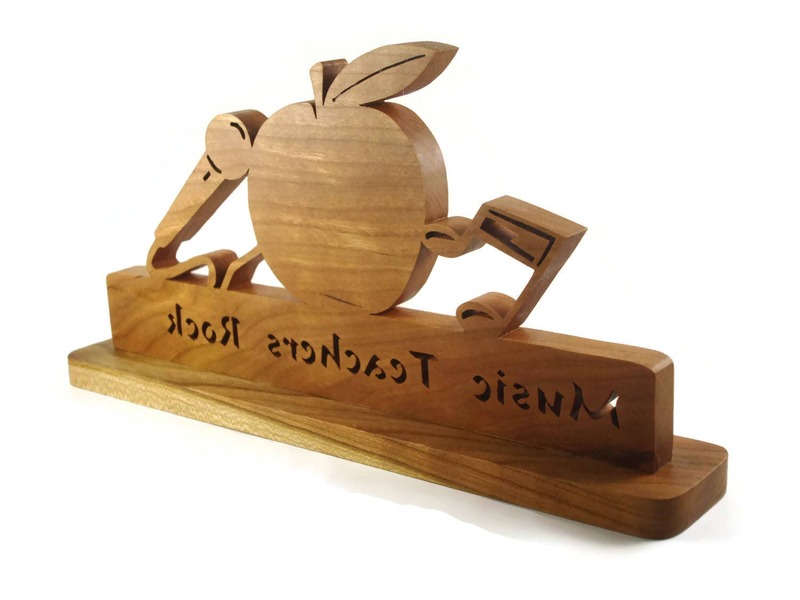 This is finished with a natural beeswax and mineral oil mixture for a beautiful natural wood appearance while protecting the wood for many years of enjoyment. 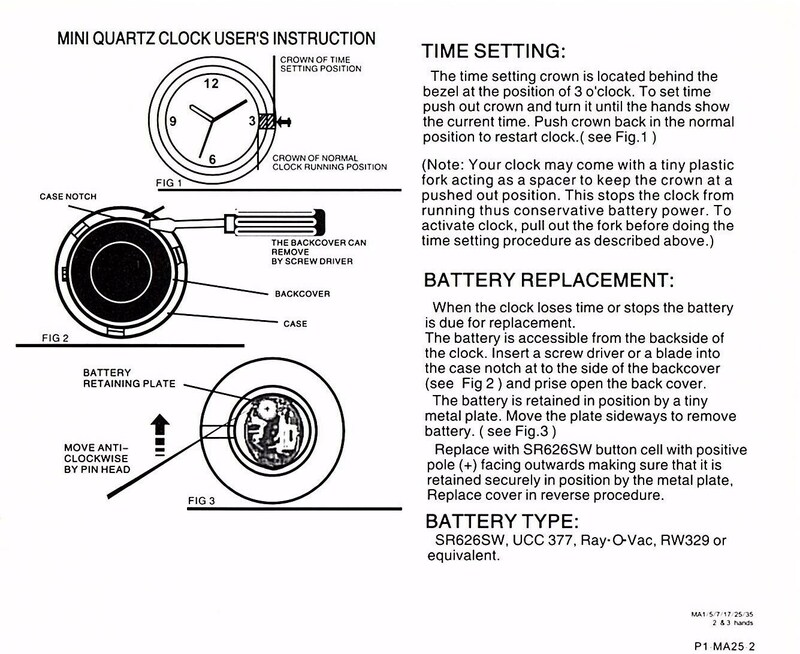 The 1-7/16 inch quartz clock features a ivory colored face with black Arabic numbers covered with a glass lens. A gold plated bezel / trim and a stainless steel back cover encases the little watch style battery. Battery is installed and ready for you to activate.